Whether the people tied to your business are into travel or tech, Staples Promotional Products has the solution for everyone on your list. The Traveler always has their head in the clouds – specifically in a 747 headed towards their latest and greatest adventure. They value experiences more than material items, but they do need specific products to help them along their many adventures. Find the perfect gifts for your customer’s that are just brimming with wanderlust to enable and encourage their travel habit. The Travel Collection is the place to look for the perfect branded employee gifts, like the Moleskine® classic backpack. It’s great for employees who are on the go, keeping your brand represented in a positive light while traveling. The Outdoorsperson sees time spent indoors as time wasted. Whether they’re tailgate masters or camping connoisseurs, the people on your list who enjoy spending their season in the great outdoors will appreciate soaking up those last few rays of autumn sunshine. From your appreciated clients to your esteemed associates, any outdoorsperson on your list will love products found in the Outdoor Collection, like the Portable Double Camping Hammock, which allows them to relax no matter what outdoor activity they like to partake in. The Techie is the person you reach out to when you can’t figure out that new app. From wearable to VR, the techie always knows what’s trending and how to use it. We can help you help them stay up-to-date the newest, coolest tech products around. Surprise your tech-savvy business partners with unique gifts they’ll love like the Geo Slim 4OOOmAh Power Bank. The modern design and practical application ensures it will be appreciated. Or alternatively, for the people who enjoy spending their season indoors wrapped in a large blanket, the home section is filled with ideas to keep them cozy. The Homebody knows the best way to wind down the season is to stay inside with a cozy blanket and a large mug of hot chocolate. We’ve got products they’ll love. Seeking the ideal gift for your executive team or board members? Find ideal products in the Home Collection like the Nambe Ridge Coffee Pod Carousel, making their coffee addiction seem more like artistic expression. The Foodie appreciates the finer things in life – and for them, that is encompassed mostly by high quality foods and snacks. For those already looking forward to the season’s eatings, start exploring the Food Collection to make not only their day, but their season. 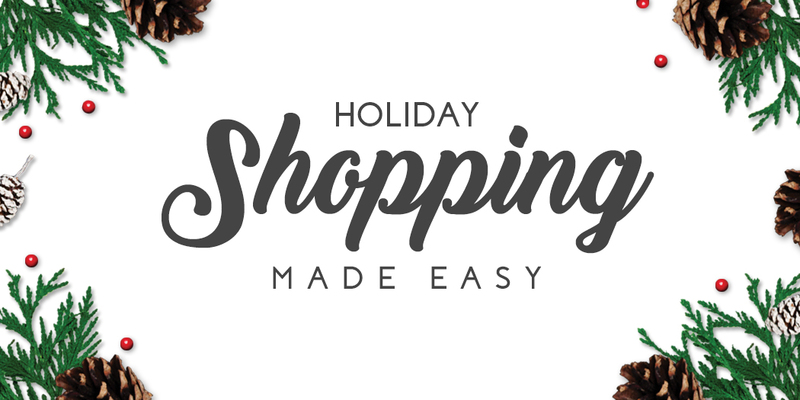 Check out this portion of the book for great ideas for holiday shopping for clients. A well-placed fruit basket like this Winter Gift Basket or an assortment of cookies can say thank you to the whole office and help build your brand equity throughout. The Original loves all things eclectic. They love products and ideas that are inimitable and not often seen elsewhere. Show your appreciation for the difficult-to-shop-for members of your team with unique branded products. Associates and board members alike can appreciate gifts found in the Original Collection, like the Hexahedron Spinner. Ideal for focus and stress relief. Who doesn’t need that? From awesome associates to priceless partners, find the perfect gift in the Seasonal Idea Book.